In the runup to Christmas things were extremely busy at the forge, but when the last orders were cleared there was still a little time to mess around with personal projects. And Voila! 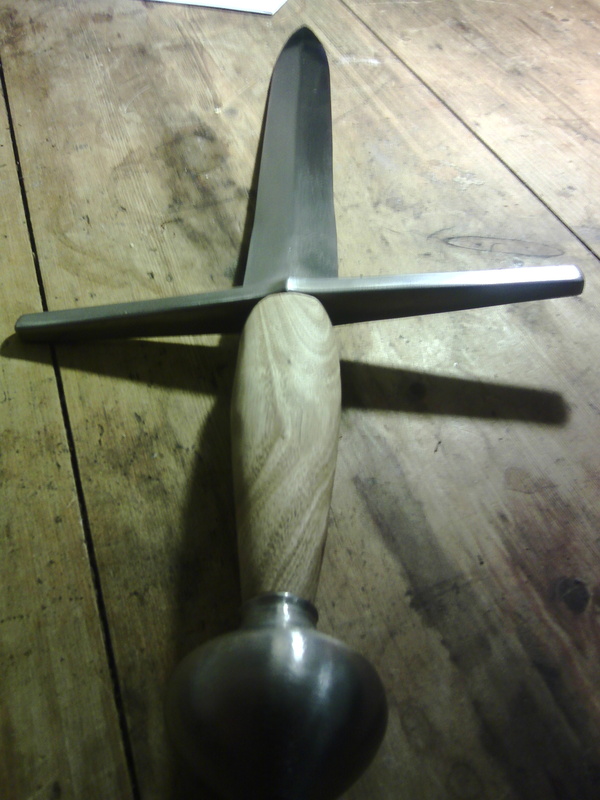 The blade is made from heat treated EN45 carbon steel, the cross is EN9 and the pommel is mild steel. The grip is made from an oak branch I cut about a year ago. 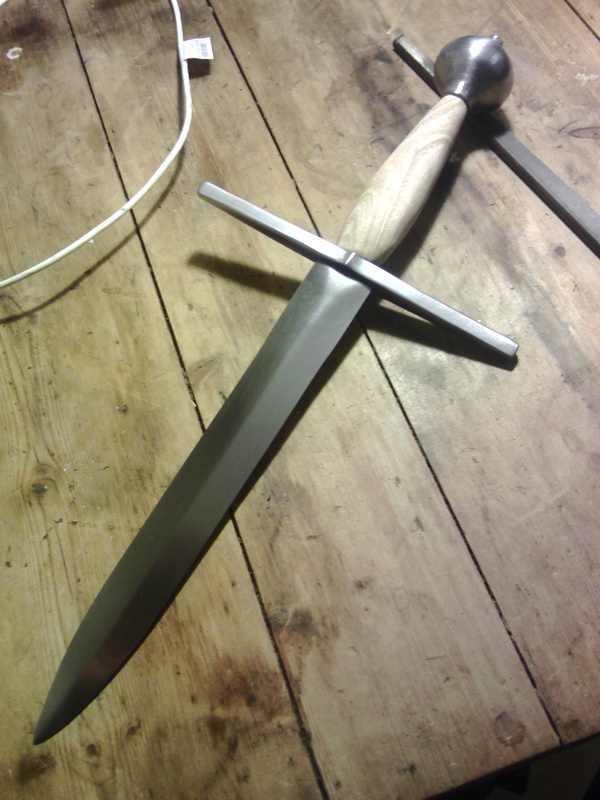 I have been doing some more work on this dagger, I am carving the grip and I may change the guard and pommel to be octagonal. 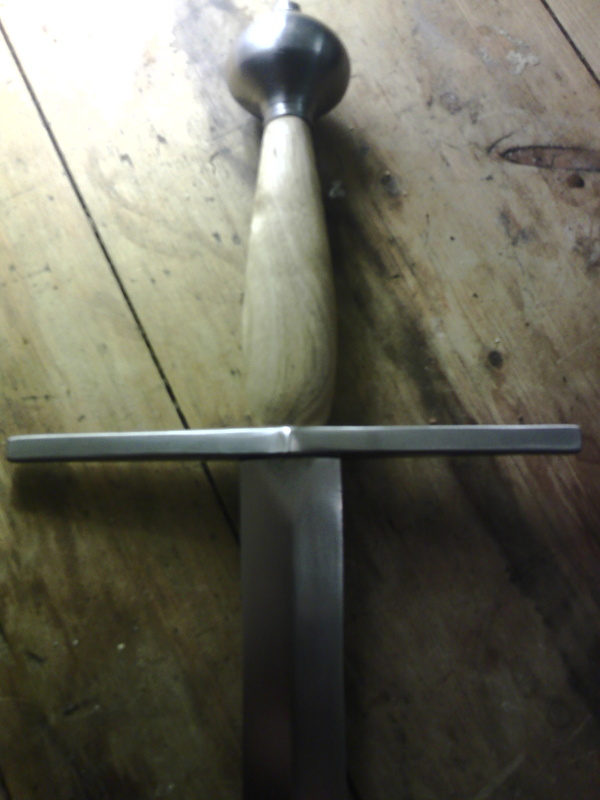 In addition I am planning to change the grind on the blade to be more historical, with a distinct step between the flat bar and the edge bevel. I will post more pictures when all the changes are done. I reckon it might need a sheath too!